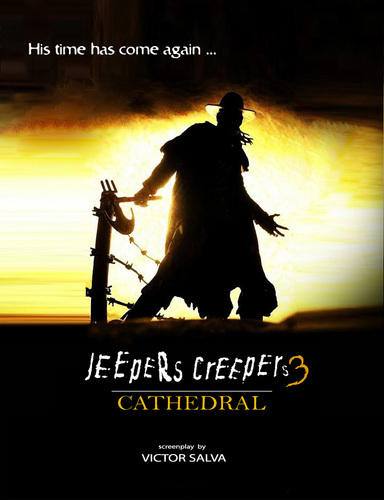 Jeepers Creepers 3. . HD Wallpaper and background images in the sinema ya kutisha club tagged: jeepers creepers 3 cathedral sequels upcoming horror movies promos. This sinema ya kutisha photo contains sunset, jua, jua kuchomoza magharibi, anime, comic kitabu, manga, cartoon, and mkono. There might also be ishara, bango, maandishi, ubao, matini, ubao wa chokaa, and rifleman.